Have you noticed bubble tea on local café menus and wondered what it could be? Also referred to as boba tea or pearl milk tea, bubble tea is made with boba, green or black tea, and sometimes milk and flavorings. This sweet beverage is a popular choice for people who want a fun and delicious iced drink! Filling the bottom section of your bubble tea beverage are the bubbles. These bubbles are a type of tapioca pearl called boba which is typically made from either cassava root or tapioca starch that is blended with sugar and caramel. Once cooked, these tapioca pearls have a gummy consistency and will be either black or white in color depending on their ingredients. After the bubbles, the next part of your bubble tea drink is the tea. 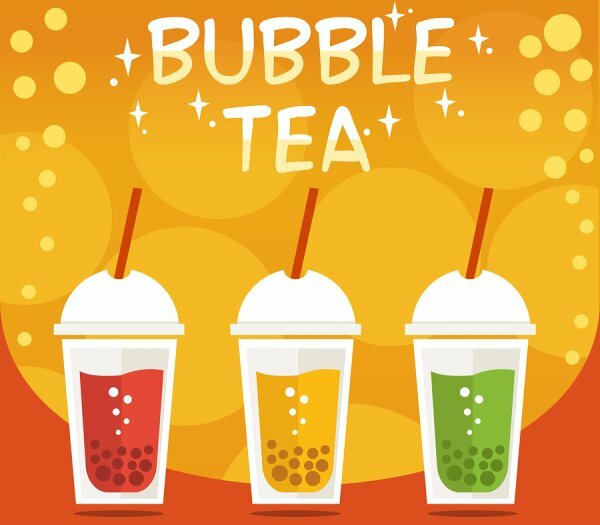 There is a wide range of bubble tea variations , but most fall into one of two categories: fruit flavored teas and milk teas. Fruit flavored teas are made with a black or green tea base to which a fruit flavoring is added. Many shops offer numerous fruit flavors to choose from such as passionfruit, mango, honeydew, and pineapple. For a creamier drink, you may want to go with a milk bubble tea. These beverages include milk, condensed milk, or cream in the green or black tea, and can also be modified with flavorings like red bean, coconut, peach, and peppermint. Boba bubbles and tea were first brought together to create a unique and sweet tea drink in Taichung, Taiwan during the 80s. Bubble tea has risen dramatically in popularity since then, and can be found on many café and coffee house menus throughout the United States. If you’re ready to give this tasty beverage a try, Happy TeaHouse & Café serves delicious bubble teas near Houston. We are open late, offer free Wi-Fi, and serve a wide selection of fresh bubble teas and other specialty drinks. To learn more, call us today at (713) 469-3275.